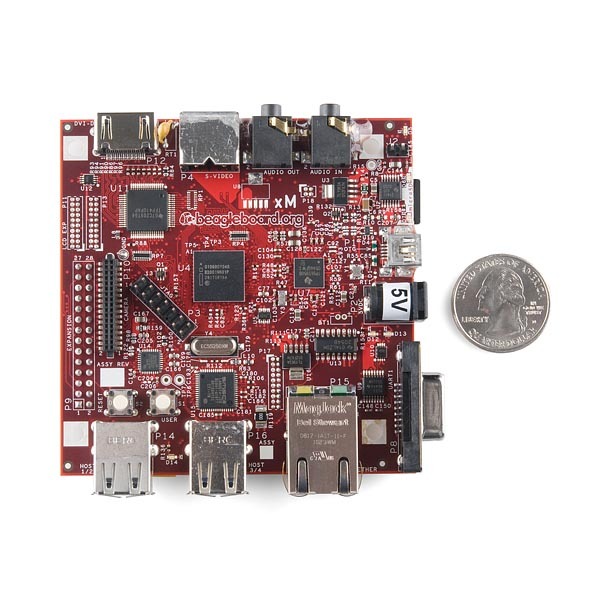 BeagleBoard-xM delivers extra ARM Cortex-A8 MHz and extra memory with 512MB of low-power DDR RAM, enabling hobbyists, innovators and engineers to go beyond their current imagination and be inspired by the BeagleBoard community. 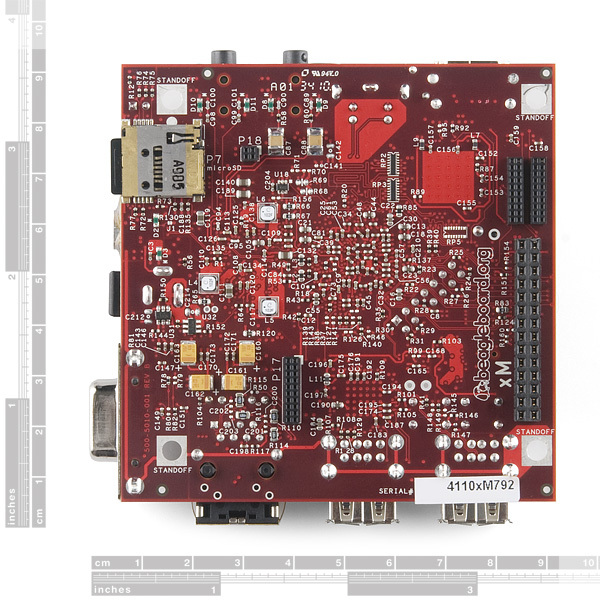 Designed with the community inputs in mind, this open hardware design improves upon the laptop-like performance and expandability, while keeping at hand-held power levels. Direct connectivity is supported by the on-board four-port hub with 10/100 Ethernet, while maintaining a tiny 3.25 x 3.25" footprint. 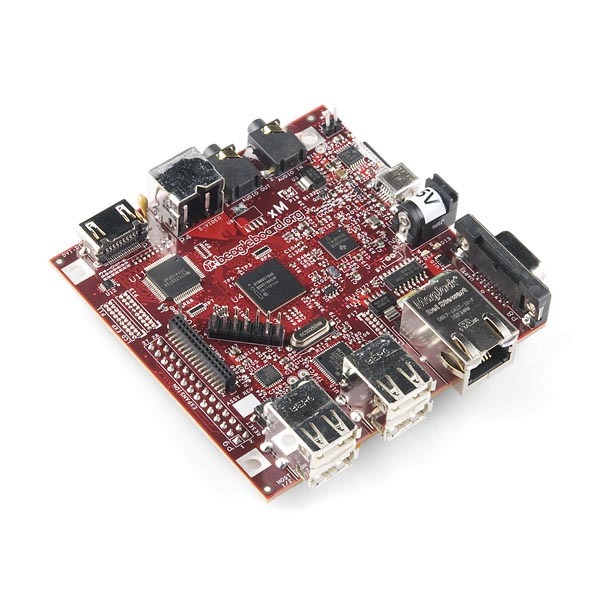 As with previous BeagleBoard offerings, the BeagleBoard-xM is not intended to be a complete development environment, but rather a community-supported platform that can be used as the basis for building more complete development systems and as a target for community software baselines. Please consider purchasing an evaluation module (EVM) from Texas Instruments or one of the several commercial system-on-module vendors for the device with which you plan to develop if you are building a commercial product. Note: These have been notoriously hard to get and we get very little margin from them. We are fortunate enough to have any stock of them. **Note: **We are now shipping version Rev C of this board. This is the most metal PCB I have ever seen. Finally. Just in time for someone else to buy it for me. Hi i noticed that its past "May 28th". Due you have this item in stock currently? I have back ordered a board and already paid for it. The least you could do is to sent a mail saying the item can be or cannot be delivered!! We do not have these in stock yet, and it doesn't look like we have any additional information as to when they will be in (we will update the page when we do). Sometimes things just get stuck on a slow boat and there isn't much we can do. This is why we put the date as an estimate, because there is not guarantee we will have the parts on this date. This is also why we don't charge you until it is in stock (although you can choose to pay early if you wish). I am pretty sure it means expander module? "xM"
i hope you get raspberry pi, that will be a selling bomb !!! Since these are out of stock now does that mean when they come back in stock they will be 150$ like everyone else?! Anyone got a handle on where to source the expansion port connectors? Ouch, the TI EVM (http://focus.ti.com/docs/toolsw/folders/print/tmdxevm3730.html) is $1,500. This is a much better "EVM" as far as costs are concerned. I got my xM! Just a note to others : If you are powering it via USB and it doesn't boot past unzipping the kernel, just restart it. It may take a couple tries but it'll work. If you don't like this, get a 5v DC power supply! 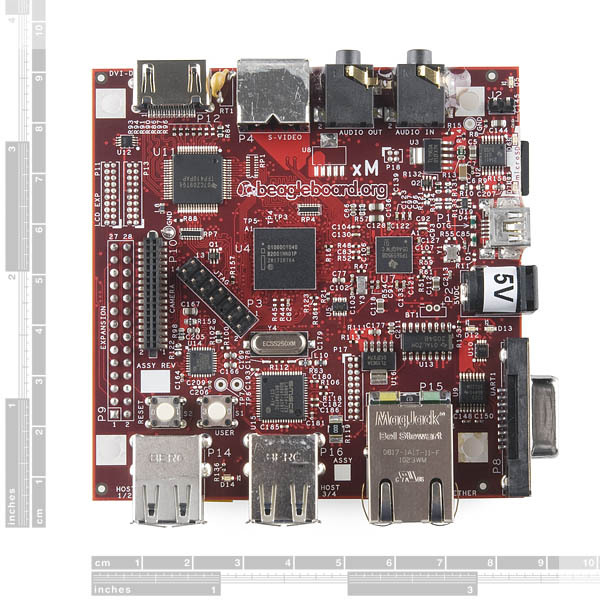 There was a recent price drop of this (Beagleboard xM) according to beagleboard.org. This thing should be about 149 usd retail. How come this is still 199 usd here? Please read the note above regarding pricing. I understand Robert. Must have missed the note. Thank you for pointing it out.